Eros is sandy beach located at the south part of the island, north of Vlyhada beach. It is organized with umbrellas, sunbeds and a beach volleyball court. 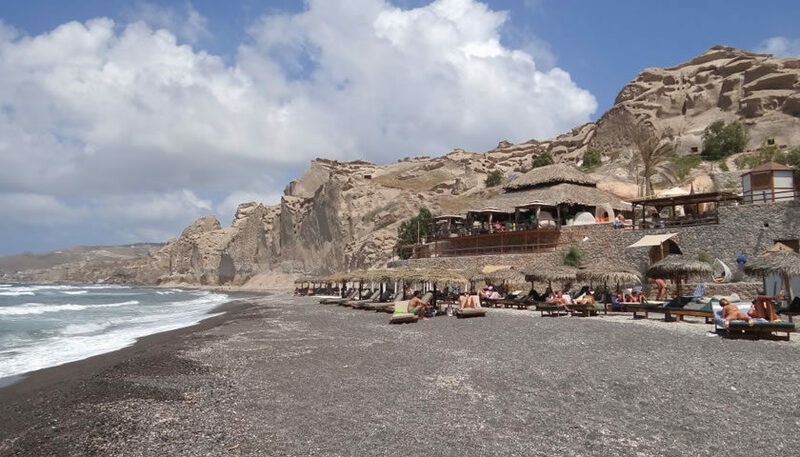 When you are at Eros beach you can spend your time at Theros Wave Bar, a very nice place to enjoy the unique scenery and drink cocktails listening to relaxing music while laying on the deckchairs. Eros beach can be accessed by car. From Fira take the road to Akrotiri and follow the signs to Vlychada. On the road to Vlychada follow the sign to Theros Wave Bar.